If you’ve never been to a group hang, you’re missing out. 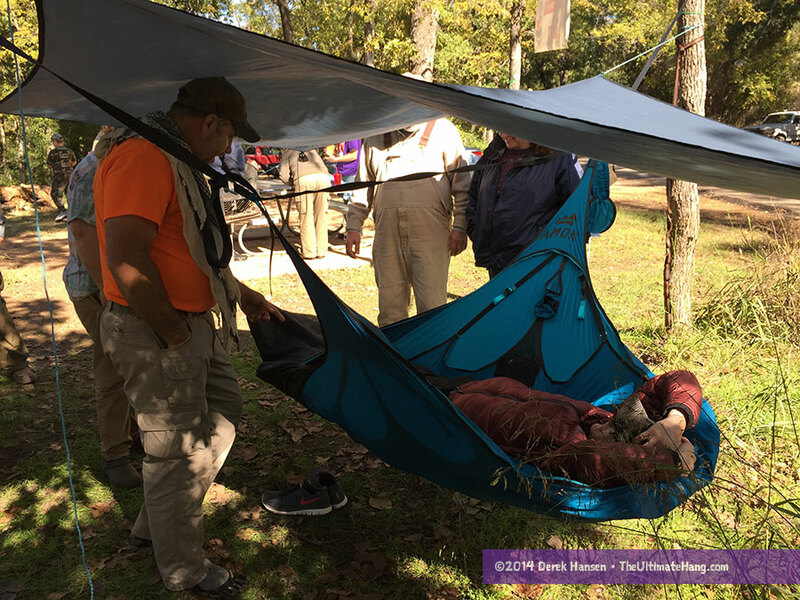 A “group hang” is hammock jargon for a festival-style camping event where the common denominator is hammocks (along with food, prizes, and fun). I’ve been invited to attend the Texas hang for a few years, but this was the first time my schedule allowed me to meet up.. 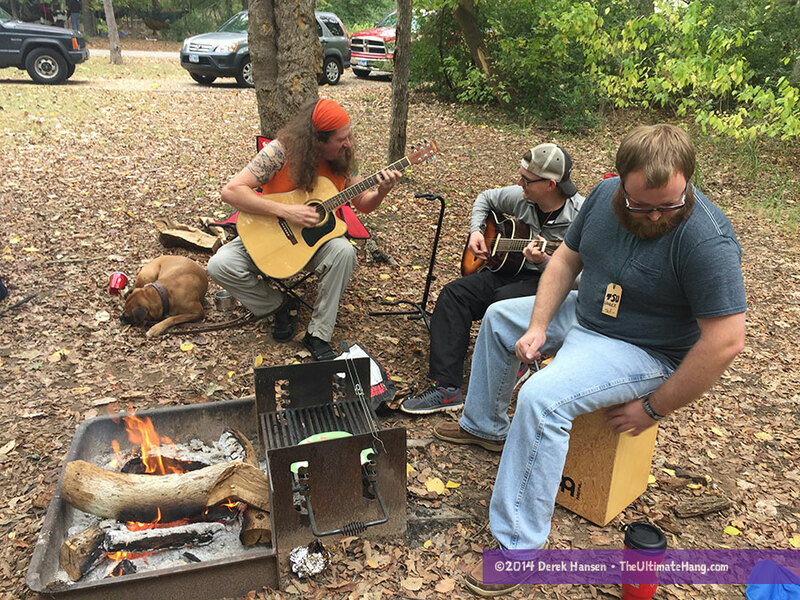 Highlights of the Texas hang for me included music around the campfire, the amazing pot luck on Saturday, checking out everyone’s hammock gear, and meeting so many delightful people. 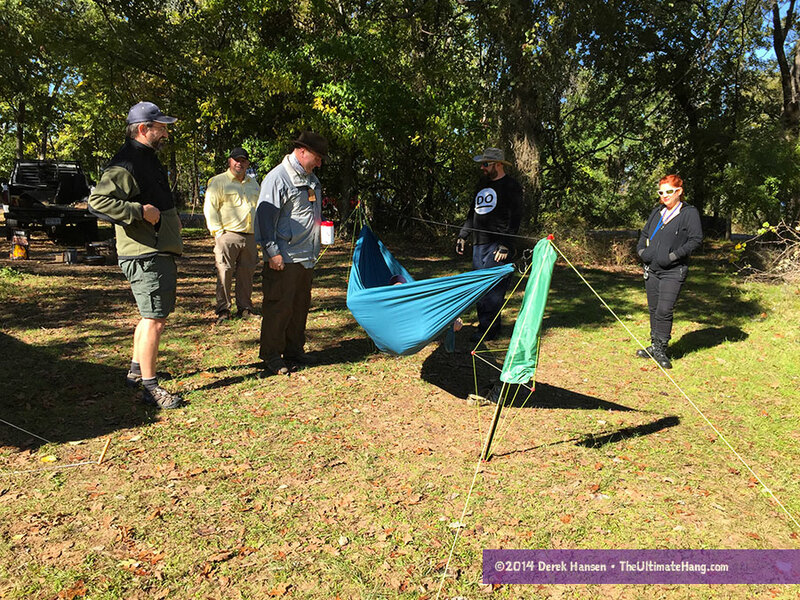 For my part, I brought along several hammocks for show and tell, including the popular Handy Hammock stand, the brand-new Therm-a-Rest Slacker Hammock, the Maverick Hammock, the Amok Draumr Hammock, the Sierra Madre Research hammocks and Nubé shelter, and the two-person Clark Vertex hammock. I slept in a Hennessy Hammock Deep Jungle while testing the new ENO Vesta top quilt. I used a Arrowhead Equipment custom Flamethrower under quilt. 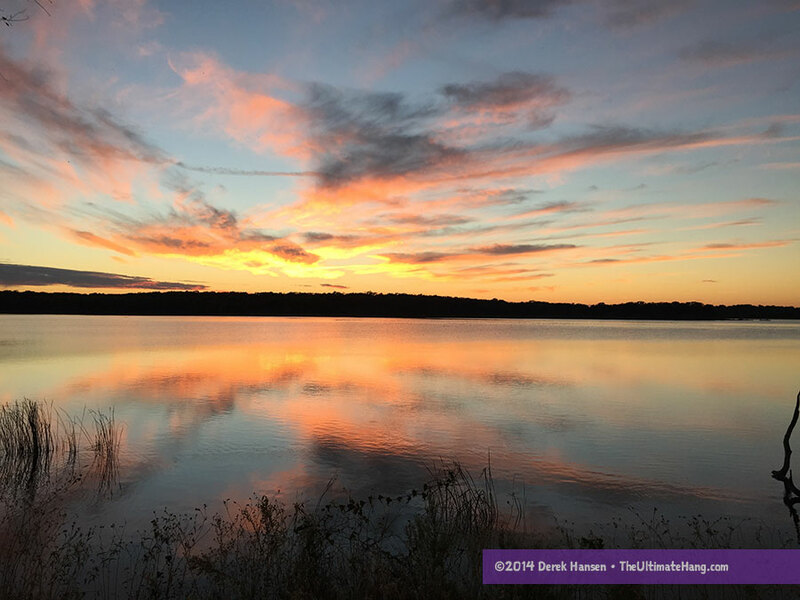 My camping spot was not far from the lake shore where I enjoyed vibrant sunsets and mist-filled sunrises. I can’t wait for the next one! I have to give a special thank-you to the generosity of Tom (humer91) who picked me up at the airport, and Anjea for taking me back to Austin! You guys are AMAZING! And, of course, the Mullen family for letting me in the gate and being such wonderful hosts. Thank you all! I was glad to help out! We were happy to have you at our hang and hope you make it back again. Where in Texas was it? Looking through the posts on your website and came across this one. Can’t believe I missed this hang. My parents live right by the park, and I live an hour away. Oh well, it was nice reading about it. Nice pics. Thanks Bryan! This is an annual hang so maybe we’ll catch you next year. need another group hang possibly at brazos bend state park, lake houston, or sam houston state park! Hey guys, I was wondering if anyone knew of some good places to go hammock camping near San Marcos? Where and when is the next Texas hang? Are there any in Southern New Mexico?